Alone This Valentine's? Order Comfort Food From These 12 Places & Let Food Be Your Date! 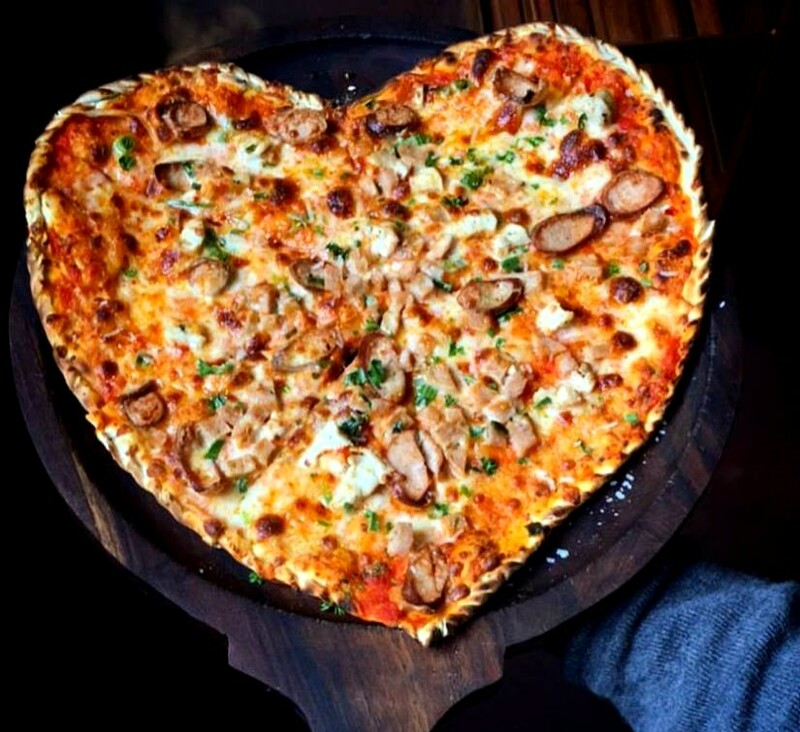 If you’re the one who rolls their eyes at all the mushy and lovey dovey gestures that Valentine&apos;s Day brings with it and would rather gorge on a whole pizza by yourself, then you’ve come to the right place! While the whole world is rejoicing and celebrating in the name of love, it&apos;s time for all the foodies and gourmets to celebrate as well, but with our real bae, i.e., food. We&apos;ve drilled down the best food delivery options for y’all so that this Valentine&apos;s, you can Netflix and chill with your foodie bae! You don&apos;t need a bae to complete your Netflix and chill night - you just need pizza! We see you nodding in agreement right about now *wink wink*. 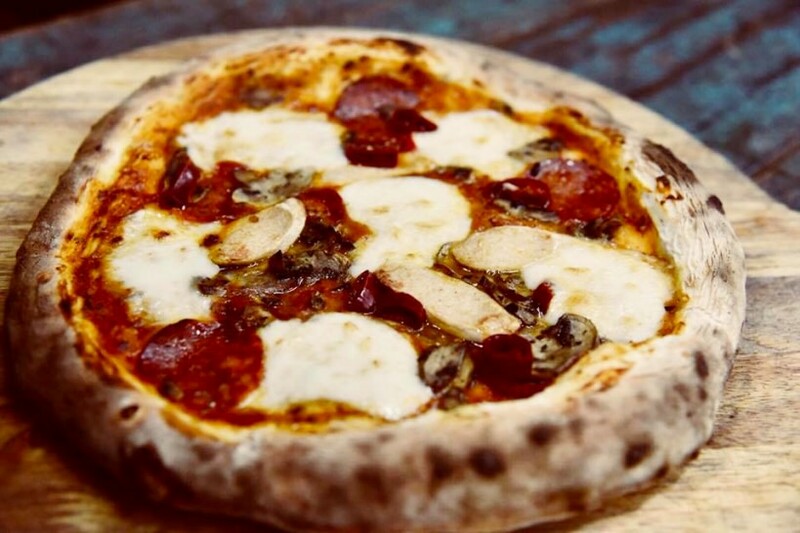 Baking Bad delivers scrumptiously satisfying wood-fired pizzas till 4 AM in the morning. We love their Rustic and Hot Spot Pizzas. Go discover your favourite! 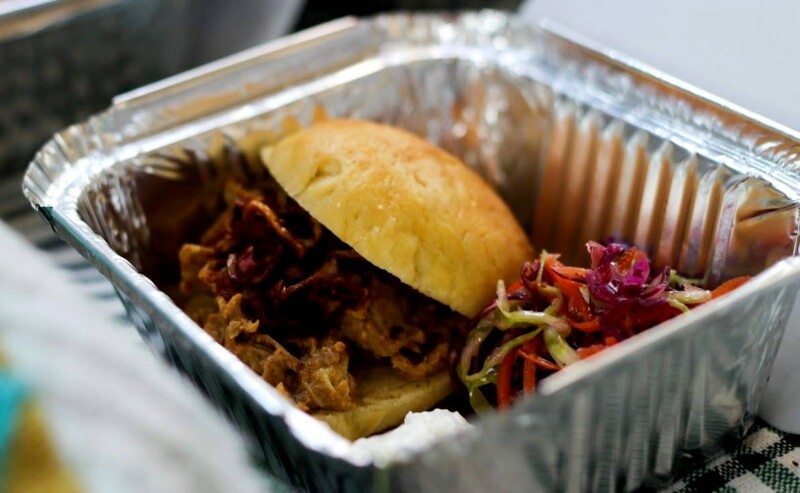 We totally empathize with your midnight burger cravings and hence we’re here to introduce Bun Intended to y’all! 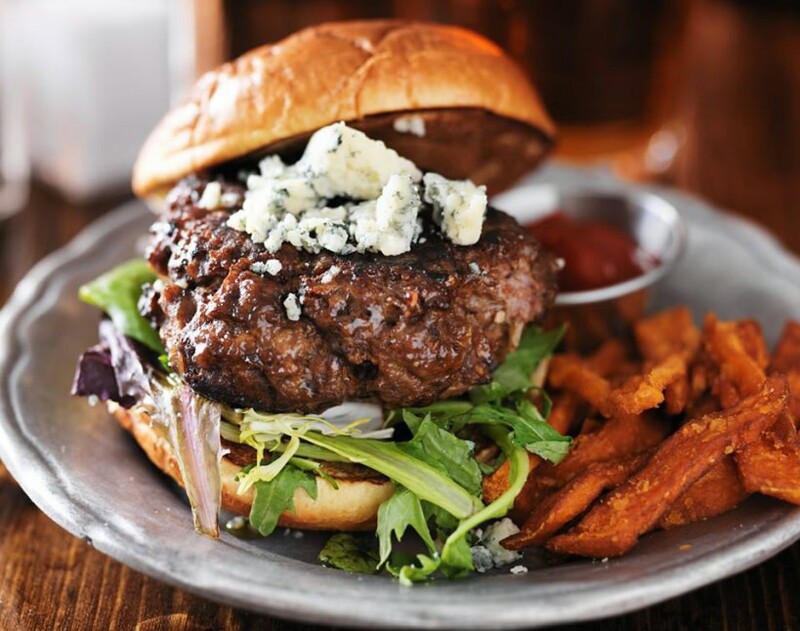 Known for their gourmet offerings with huge helpings, all their burgers have something different to offer. 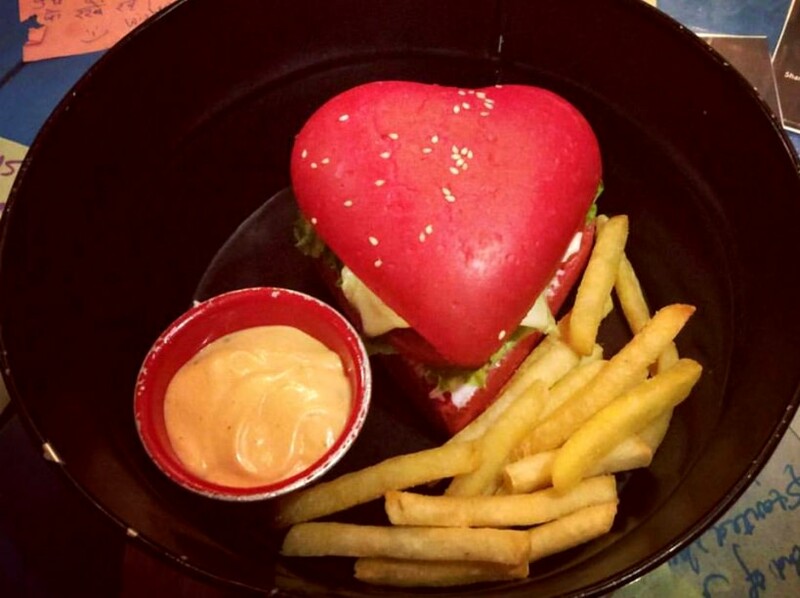 Their range of burgers includes Tailspin, The Shami Burger, Total Tofu and loads many more that you&apos;ll totes love! 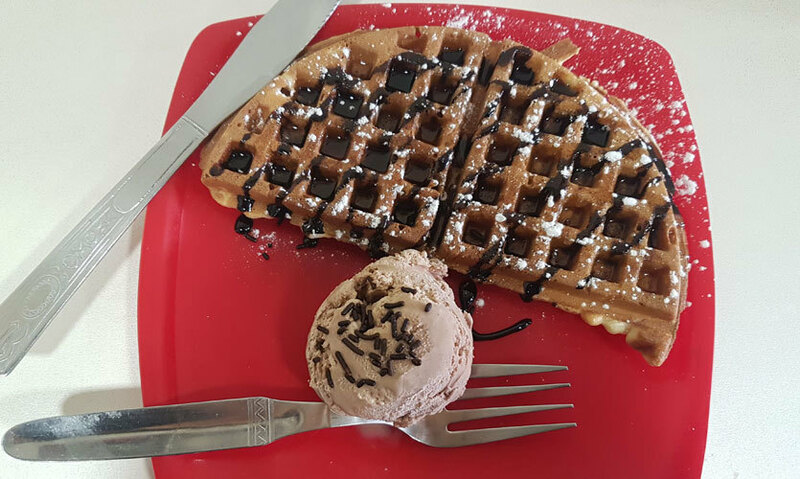 If pancakes, waffles and crepes is what makes you happy, then we recommend to you this gem of a place! Having two outlets in town, Stop My Starvation also delivers freshly cooked delicacies straight to your home. They have some really amazing and novel dishes like Chicken Tikka Waffle, Garlic Chicken Crepe, Keema Crepe and loads more. *heart eyes*! Giving the bonafide Japanese delicacy their own delectable spin, Sumo Sushi has been delivering drool-worthy sushi like a pro! In no time, they’ve managed to sweep away a lot of sushi-hungry hearts. 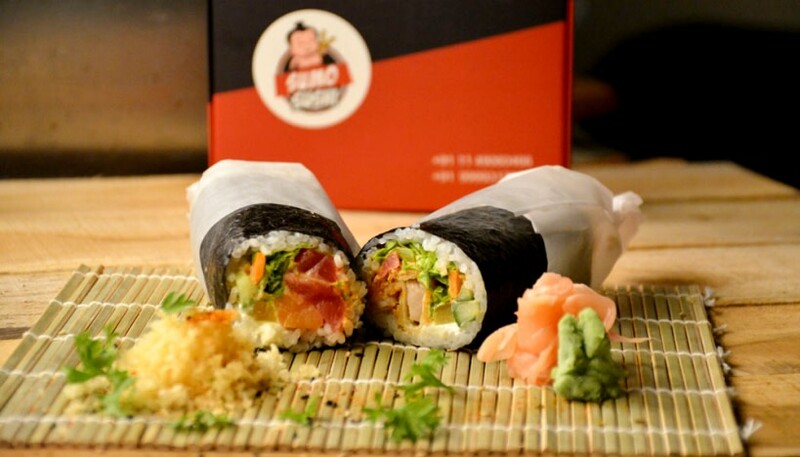 Don&apos;t miss out on their Sushi Burrito for it&apos;s the best sushi invention that we&apos;ve discovered till date! Pan-Asian cuisine has its own charm and nobody can beat that! 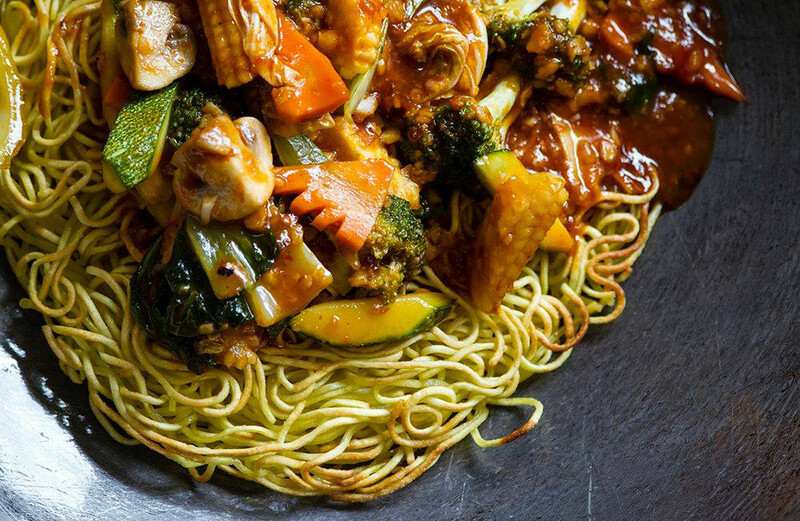 The stir fried, steamed or even deep-fried dishes mingled with chillies, dry onions & soy sauce et al just feeds our hungry souls (not to mention our rumbling tummies!). So order some good pan-Asian fare for yourselves from this king - Karate Kitchen! Now this is a cute little delivery place based out of Gulmohar Enclave and we&apos;re tempted to give it a go based on its quirky name *think Terminator*. They have some mind blowing concoctions like Punjabi Tadka Pasta, Bubblegum Coffee, Tiramisu Coffee and the like. So order from them and say &apos;Hasta La Vista&apos; to the singles blues! 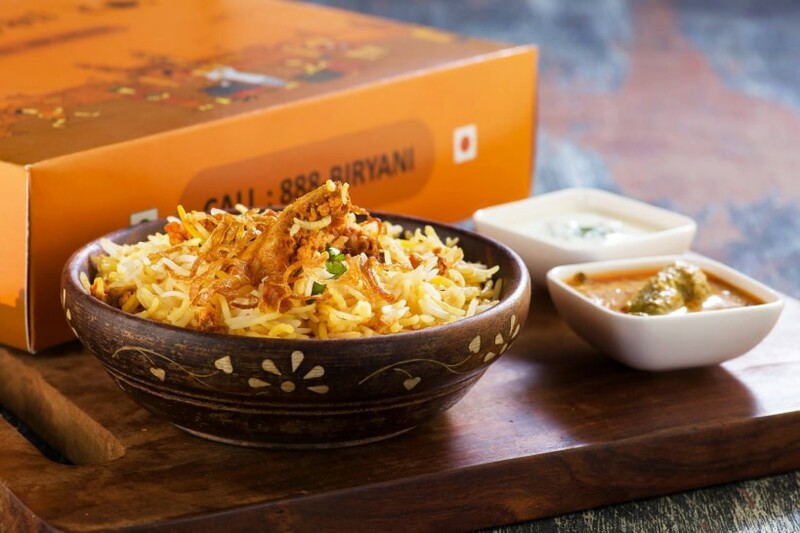 Serving authentic, aromatic and bona fide biryanis since 2015, The Biryani Co. is certainly a must try! Their Paneer and Mutton Keema Biryani is simply to die for - yeah, we just went ahead and said that. So ring up their biryani hotline and enjoy some amazing Hyderabad royalty at your doorstep! Okay so how about getting momos delivered at your doorstep and that too at midnight? Sounds too good, right?! Well, say hello to Thok - The House of Kakori, folks! Known for its late night food deliveries, The House of Kakori delivers North Indian, Mughlai and Chinese cuisine handily right to your home - already dialing? You bet! For all your mid-night burger cravings, just call Dudley’s. The place serves some of the meatiest, juiciest and loaded burgers. With a perfect blend of premium quality ingredients, a magical recipe, and lots of deliciousness, it&apos;s plain awesome! Their gourmet burgers in particular are a heavenly bliss. Serving delectable pastas, juicy burgers and thin crust pizzas, the place is a haven for Italian and Chinese lovers. Let their hot-sellers - Peri Peri Pizza, Chilly Chicken, Mother Of Chicken Burger, Pesto Pasta and Crunchy Waffles be your Valentine date and spend the night feasting on these lovelies. This enchanting café offers a crazy variety of wholesome and delish food. 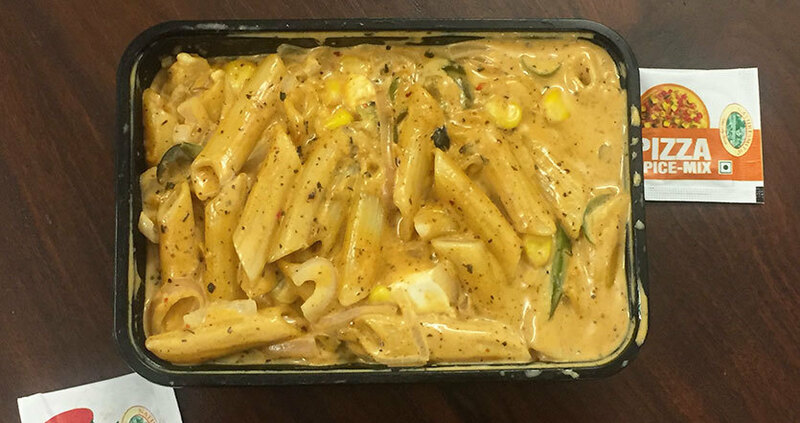 From pastas to pizzas, fries and burgers, everything here is drool worthy. Order their Tiramisu and bring some sweet happiness at your doorstep! 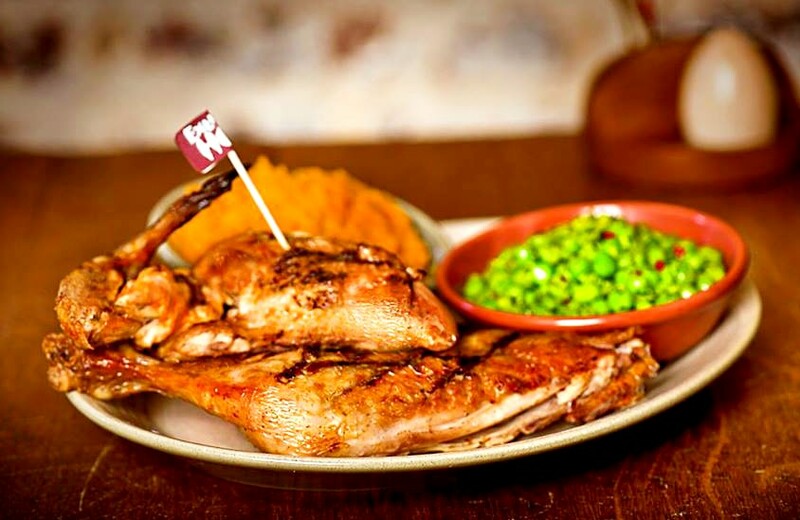 Ring a bell at Nando’s for juicy and fingerlicking good chcken at your doorstep coz chicken=bae. 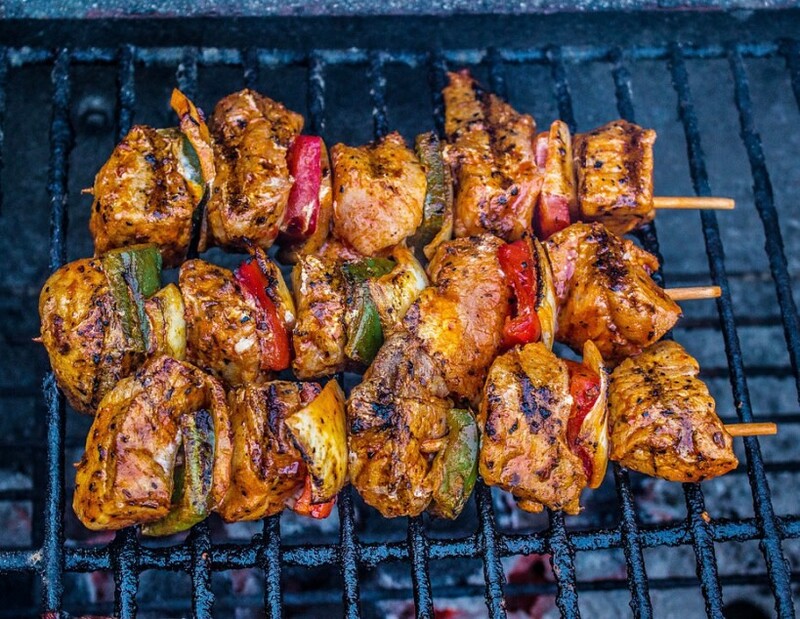 Grilled Peri Peri Chicken, Peri Peri Drizzle, Tandoori Chicken, Chicken Espetada and loads of non-vegetarian delights to choose from, the place doesn’t disappoint vegetarians either with its Paneer Tigela and Veg Platter. So there you go - swipe away those moody singles blues, pick a movie and order in this Valentine&apos;s and have yourselves a fabulous night!